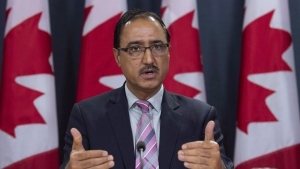 OTTAWA -- The federal government is developing a code of conduct for sport in Canada and a gender equity secretariat to address abuse, harassment and discrimination in sport. 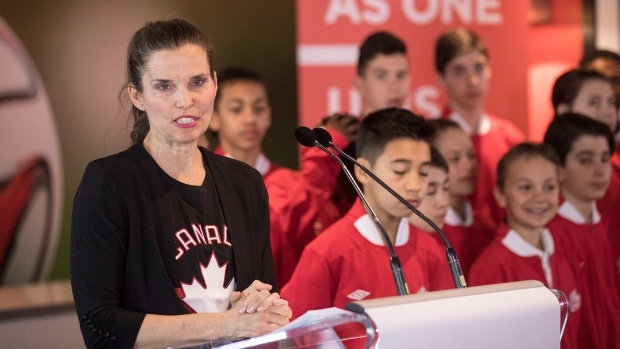 Kirsty Duncan, Canada's Minister of Science and Sport, announced the plans after meeting with provincial politicians to discuss a strategy last week in Red Deer, Alta. The news comes following headlines about Canadian athletes being subject to abuse, including a CBC investigation published earlier this month which reported that "at least 222 coaches" were convicted of sexual offences from 1998-2018. The report also said 34 other cases of accused coaches are currently before the courts. The government says the code of conduct will serve as a model that can be used in all sports at all levels, from national sports organizations to community teams. This code will serve as a basis for the management of abuse, discrimination and harassment cases and as a model for common sanctioning for those who breach the code. To develop the code, the government is investing $209,000 toward a Safe Sport Summit Series hosted by the Coaching Association of Canada. The series will culminate in a national summit in Ottawa in the spring. The secretariat will be tasked with developing, implementing and monitoring a gender equity strategy. Having greater participation of women in leadership roles, coaching and officiating would contribute to greater safety in sport, the government says. "All children in sport and athletes deserve to participate in sports free from abuse, discrimination and harassment and that includes bullying, hazing, sexual misconduct or any form of emotional, psychological or physical abuse on and off the field of play," Duncan said in a statement. "Our government is working with our sport partners across the country to ensure that each child or athlete has a sport experience that allows them to realize the wonderful benefits that sport provides."